The fabrication for the LMC’s latest designed column turret is nearly complete. 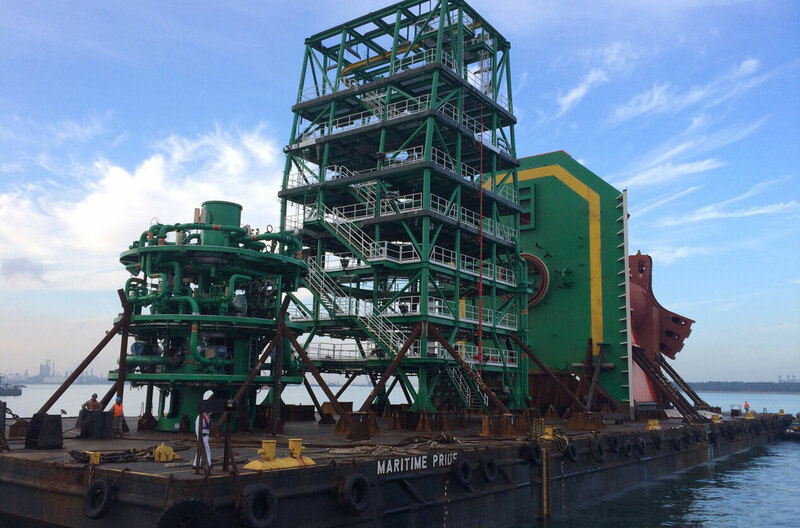 Fabricated at Keppel’s yard in Singapore, the column turret will be installed onto the vessel at the STX Yard in Jinhae, South Korea. The completed FSO will operate offshore Libya.